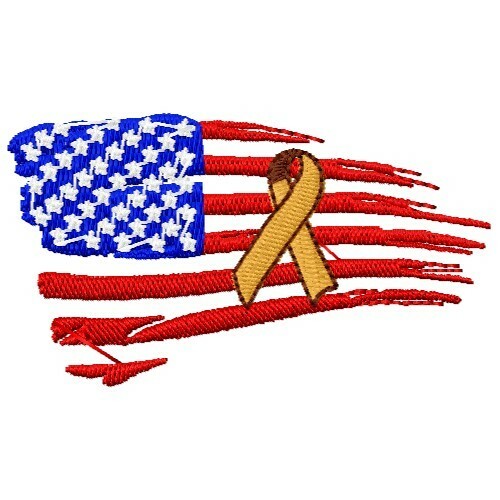 Show your support for the military with this American flag and awareness ribbon. Use it on a cap, polo or any apparel! 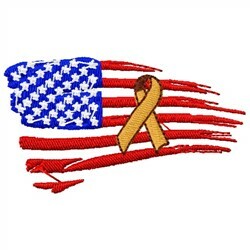 Embroidery Stitches is happy to present American Flag Awareness Ribbon machine embroidery design which has 8191 stitches and is [75.69 mm x 42.93 mm] large. If you would like to view more embroidery patterns please search on our embroidery designs page.